You and your colleagues are cordially invited to attend this complimentary breakfast seminar for select government officials. The seminar will focus on assisting government leadership and management with organizational decision-making. “Improving decision-making processes to support business transformation” Keynote speaker: Mr. Dennis Savage, Joint Staff Comptroller, U.S. Department of Defense Friday, May 18, 2007 9:00 - 10:30 AM The Capitol Room at Van Scoyoc Associates, Inc. 101 Constitution Avenue, NW, Suite 600 West,Washington, D.C. 20001 202.638.1950 (Union Station Metro, Parking available) Sponsored by Decision Lens, Inc Better Decisions for Better Performance Do you face the challenge of deciding how to prioritize and fund programs and requirements? Are there multiple objectives that must be satisfied? How do you balance the demands of competing stakeholders and interests? Can you justify the programs and funding levels selected, showing how they contribute to your organization's strategy to produce real value? How do you make tough program cuts when faced with a continuing resolution or other significant constraint? If you are faced with difficult prioritization, resource allocation, or other strategic decisions, you will find great value in par ticipating in this seminar. Join us and learn through practitioner experience and a current case study example how government organizations are making more effective, defendable decisions in less time and with more buy-in. Please RSVP acceptances only to Karen Humbel by May 4th. khumbel@vsadc.com or (202) 638-1950 This invitation is transferable to a colleague if you are unable to attend Mr. Dennis Savage Joint Staff Comptroller, U.S. Department of Defense Mr. Savage is currently the Comptroller, of The Joint Staff. 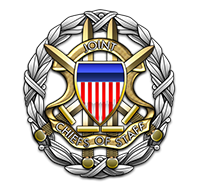 He advises and manages on behalf of the Chairman Joint Chiefs of Staff and the Director Joint Staff all financial resources allocated to the Joint Staff, financial resources provided by other agencies for Joint Staff use, and all aspects of Planning, Programming, Budgeting, and Execution (PPBE). Mr. Savage acts as Executive Secretary of the Resource Management Council, mediates and collaborates on all matters within PPBE business processes, and negotiates financial priorities throughout the Joint Staff.Additionally, he establishes financial policies and procedures; provides pre-award contract management policy, procedures, and oversight for the Joint Staff; manages the Internal Management Control and Quality Management programs; and provides Acquisition Management advice, guidance, and oversight. Mr. Savage is a progressively responsible comptroller, resource manager, and financial manager with knowledge, skills, abilities that span a 25-year period in both government and commercial sectors. Mr Savage is a retired U.S. Army Colonel. He has worked for the National Geospatial Intelligence Agency, and for Booz Allen Hamilton Inc. Decision Lens,Inc. The Decision Lens solution is used by leading organizations to bring structure and quality to key decisions, including the strategic alignment of goals and priorities with investments in people, projects, products, and suppliers.The National Geospatial Intelligence Agency, the Joint Staff, the Military Health System, GSA, and NASA are among the many organizations successfully applying Decision Lens to multiple decision processes. The Decision Lens solution is a powerful and easy to use process and technology solution that enables organizations to easily and effectively: Reduce the amount of time & money to make effective decisions, especially when multiple stakeholders are involved Remove stress and complexity often associated with significant decisions Synthesize quantitative and qualitative benefits, opportunities, costs and risks of alternatives into decisions Organize and evaluate complex factors contributing to a decision to prioritize alternatives and allocate limited resources to get the most "bang for the buck".